The MAI®HICOMP is a high-performance silo mixer pump solution where you need a silo pump screwed to the silo with intelligent control technology. It maintains operation even when there are fluctuations in the power supply and allows adjustment of the consistency and pumping capacity of 100 to 170 l/min (with nominal mortar hose diameter of 50mm and a maximum distance of more than 100m) and a maximum grain size of 6mm or 8mm (although this could lead to increased wear) for a silo flange diameter of 350 mm via the remote control. 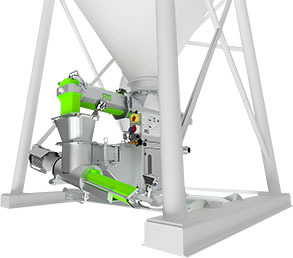 For in-line mixers on the silo where lightweight porous concrete is needed, the MAI®HICOMP-FOAM offers intelligent control technology, maintaining operation despite fluctuations in the power supply. It also allows adjustment of the consistency and pumping capacity via remote control. The MAI®HICOMP-FOAM produces adjustable foam concrete in a quantity of 9 to 24 cubic meters per hour (with a mortar hose of minimum nominal width of 50mm and a maximum distance of 100m) for a silo flange diameter of 350mm. The MAI®COMP is a proven performance under-silo pump screwed to the transport silo, with modern easy-to-clean MAI®CODUR components. This compact silo mixing pump has been used in the dry mortar industry for many years. It has a pumping capacity from 40 to 100 l/min (with nominal mortar hose diameter of 50mm and a maximum distance of 50m) and grain size for a silo flange diameter of 350mm. As one of the world’s leading manufacturers of industrial equipment, the range of MAI silo mixer pumps is second to none. MAI under silo mixers and pumps enable the professional processing of pumpable, self-levelling floor screed, plaster, render or lightweight porous materials of a highly consistent quality. 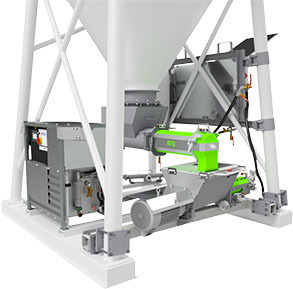 Each model incorporates a fully integrated feeding and mixing system, which is fixed to the silo and consists of the continuous silo mixer, feed pump and the control unit. For our customers, that guarantees previously unknown levels of comfort and efficiency on the construction site. Thanks to hot dip galvanised machine components, a stainless steel electrical cabinet, a wear resistant synthetic mixing tube and a modular MAI®CODUR mixer, each MAI under silo mixer guarantees a long service life, so you can plan your construction and engineering projects with confidence. They even have pump motors with grease-filled gear sealing: MAI won’t let you down. Discover the range of MAI continuous silo mixers – there is one that will be perfect for your project. 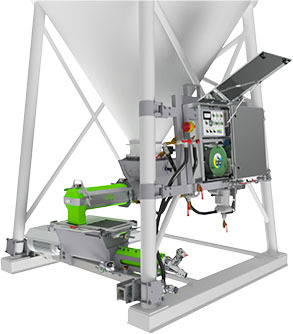 Talk to the experts about high-tech MAI silo mixers.